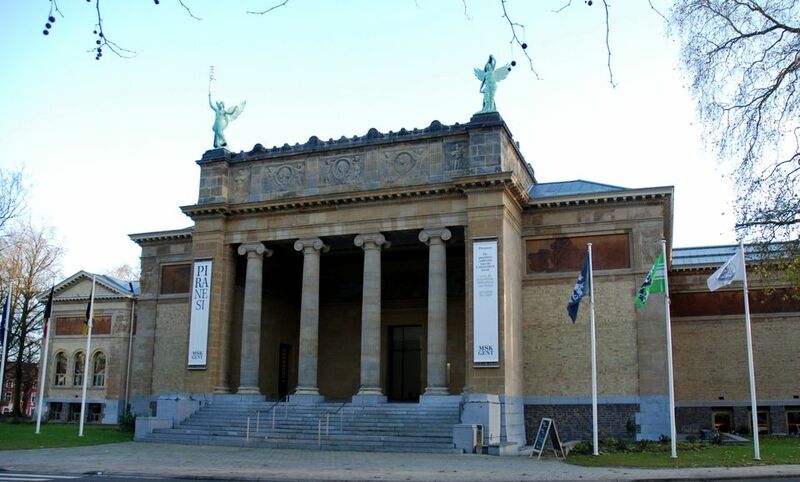 On 20 October 2017, the Museum of Fine Arts in Ghent (MSK - Museum voor Schone Kunsten Gent) opened a new display of its permanent collection to the public. However, among the exhibited artworks were 26 pieces that did not belong to the museum—objects attributed to Kazimir Malevich, Wassily Kandinsky, Vladimir Tatlin, Lazar el Lissitzky, Alexei Jawlensky, Natalia Goncharova, Mikhail Larionov and other artists of the Russian avant-garde. The museum website does not offer any information about how the institution was able to assemble this exhibition: according to the Belgian press—the artworks in question were given on long-term loan by the Dieleghem Foundation established by Mr. Igor Toporkovski, an art collector from Brussels. All the works exhibited could be defined as highly questionable. They have no exhibition history, have never before been reproduced in serious scholarly publications and have no traceable sales records. The exhibited paintings by Wassily Kandinsky and Alexei Jawlensky are not included in the catalogues raisonné—internationally recognized as the definitive sources for determining the work created by these artists. Objects such as a box and distaff allegedly decorated by Kazimir Malevich have no known analogues and there are no historical records that even mention that the artist ever was involved in the decoration of such objects. Practically every other work exhibited provokes similar questions. The museum did not publish a catalogue and did not provide any information about their provenance or exhibition history on the wall labels other than the name of the owner. There are other questions that these 26 artworks raise which need to be addressed and debated. Would it not be best, until answers to these questions are forthcoming, that the works are taken off view and not presented in a way that risks misleading the public? According to the Belgian newspaper La Libre, Ms. Catherine de Zegher, the Director of the Museum of Fine Arts in Ghent is planning to exhibit more works from the Dieleghem Foundation collection in 2018, together with loans from other European museums. According to La Libre, Ms.de Zegher stated that she will try “to rewrite the history of the Russian avant-garde”. This is a bold statement and one must venture to ask, how? Ms. de Zegher is a renowned curator of contemporary art. She curated the Moscow Biennale of Contemporary Art in 2013, but this experience does not make her an expert on Russian avant-garde painting. When Ms. de Zegher became the director of the MSK she declared that her task was to create an “open museum”. Unfortunately, she opened the institution entrusted to her with questionable works.